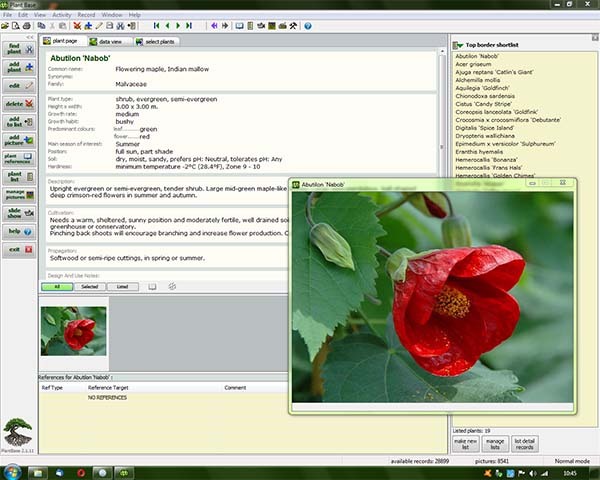 Our flagship software product - an A-to-Z plant reference encyclopaedia for Windows PC or Mac OS. 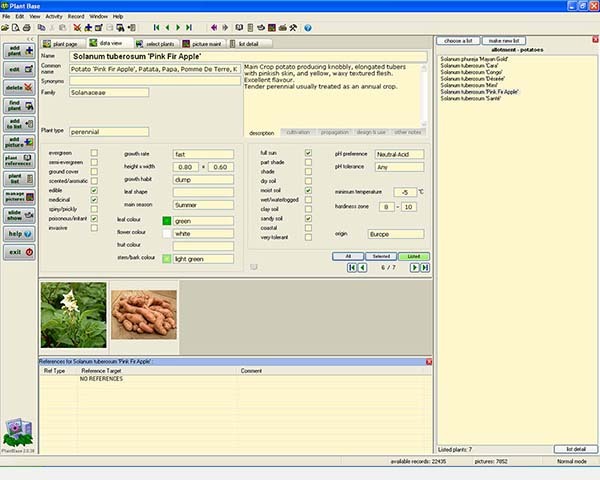 Easy-to-use and very affordable application, built around a fully searchable plant database that also enables adding your own information. 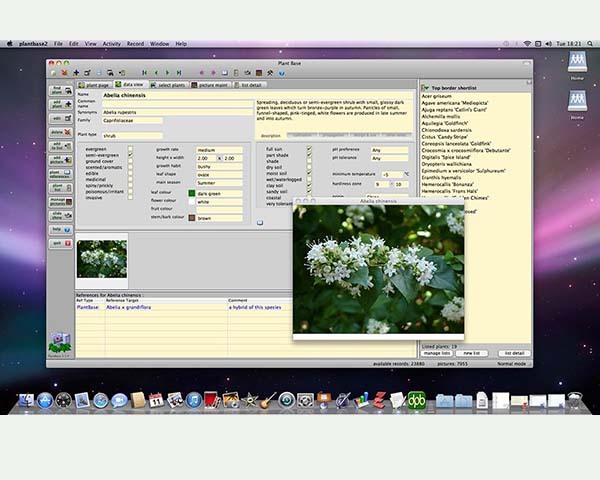 We aim to produce garden software that is simple, efficient and yet highly flexible. The Plant Base application is suitable for amateur gardeners, garden designers, landscape professionals, students or in fact anyone with an interest in growing or observing plants. 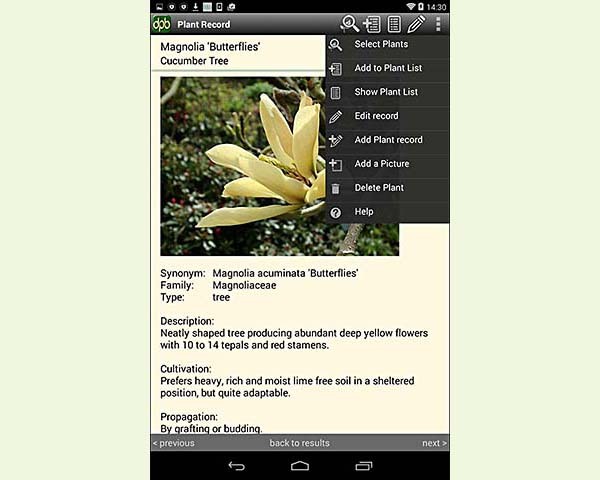 An equivalent Android edition of Plant Base with the same underlying database, provides the option of mobile use on smartphones and tablets. Try it for yourself - free 20 day trial - full product 301Mb. More choices on the Downloads page. Developed in the UK and the supplied plant data tends to reflect that, but is not limited to any region or type of plant. We have users located worldwide. 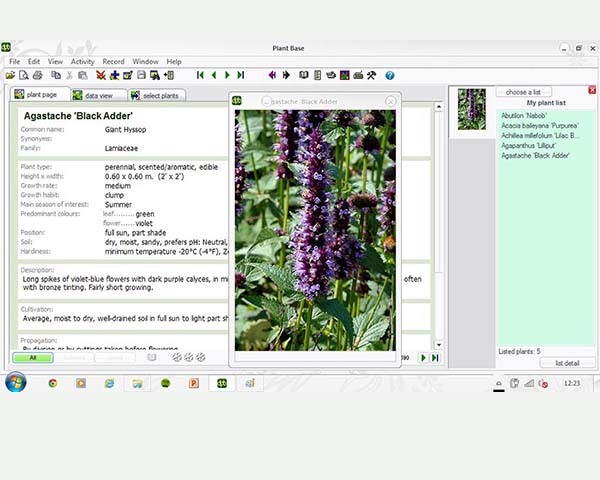 The plant database is also available online in simplified and reduced form for free searching by web browser. When time allows we sometimes undertake other projects, for example our highly popular Extra Keys Windows desktop tool and also occasional web authoring. New Plant Base version release 2.1.9 - for both Windows and Mac. Plant Base for Android - new version 1.35 of the full on-board database app edition is now released and available on Google Play. Stand-alone freeware desktop utility - new version available for download with many more unicode characters.